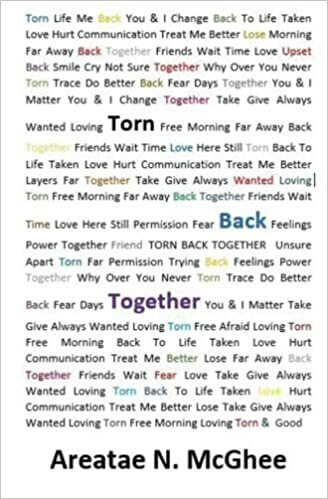 Torn Back Together shares writings about the passion that started a relationship, what was needed to keep it together and the point of walking away from it all. In the back of your mind knowing bits and pieces can’t be fixed, but the heart is willing to take the risk to make it work again. Areatae N. McGhee is an inspiration based Author & Educator from the Pacific Northwest, whose love for writing started while journaling as a young child. This turned into writing poetry & music which provided an outlet to express herself. Ms. McGhee inspires others to reach for their dreams through one-on-one personalized mentoring and encouragement with family & friends. She fuels her fire from believing in herself and never giving up. Her ambition is to achieve and succeed, sends a daily message that there is always a way to turn a dream into reality. Available in paperback or kindle on Amazon. Visit Areatae’s website for more information or connect on FB or Twitter.